Buried deep within a Variety article about Billy Crystal playing a bachelor warlock comes this interesting tidbit of news: The Jim Henson company is working on a sequel to Labyrinth. No other details are available—we’re talking about an aside in the last sentence of an article that mentions several upcoming Henson Co. projects—but that would be pretty cool, right? They’d have to bring David Bowie back, of course. Would the Goblin King be embarrassed about his gigantic ‘80s hairdo, nearly 30 years later? Or would he be like those guys who still walk around looking like Achy Breaky Heart-era Billy Ray Cyrus, indifferent to the changing whims of fashion because they like feeling the wind in their mullets? 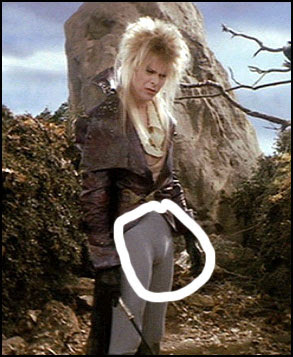 Honestly, as long as he’s still got that massive crotch bulge (90 percent of what people remember about Labyrinth, it seems), it doesn’t really matter. 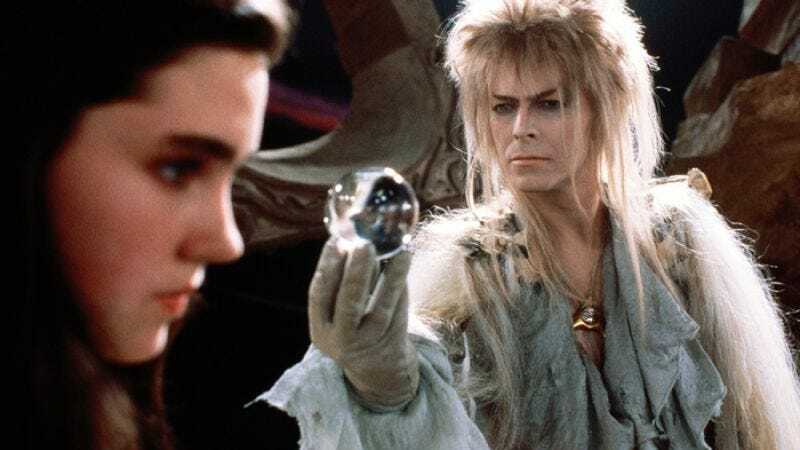 The article also references the on-again, off-again The Dark Crystal sequel, the Fraggle Rock movie, and an Emmett Otter movie, none of which have the magnetic appeal of David Bowie’s balls.